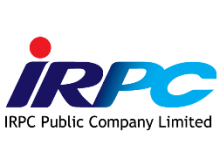 IRPC Public Company Limited is the first fully integrated refinery and petrochemical complex in South East Asia. IRPC’s is located on the Eastern coast of Thailand in Rayong Province, producing a wide variety of product range in polymers, both upstream and downstream. Pipe Product is a main focus at IRPC Petrochemical Business. With years of experience and investment in pipe research and development, IRPC provides high quality product into the pipe market.